Hannah Calhoon is a co-founder and Director of Blue Ridge Labs, an initiative inside the Robin Hood Foundation that asks how technology can help unlock new ways to fight poverty. Through her work at the Labs, she helps entrepreneurs discover, launch, and grow new ventures that help address the challenges faced by low-income New Yorkers. Before the Labs, she was a Project Leader at the Boston Consulting Group, where she was a member of the healthcare and global development practices. Additional experience includes roles in impact investing, business development, and startup operations. 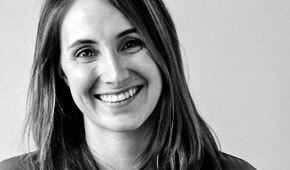 Hannah is a member of the working group on Inclusive Innovation in America’s Cities at the Aspen Institute’s Center for Urban Innovation. She holds an BA in Social Studies from Harvard College and an MBA with a certificate in Public Management from Stanford’s Graduate School of Business.